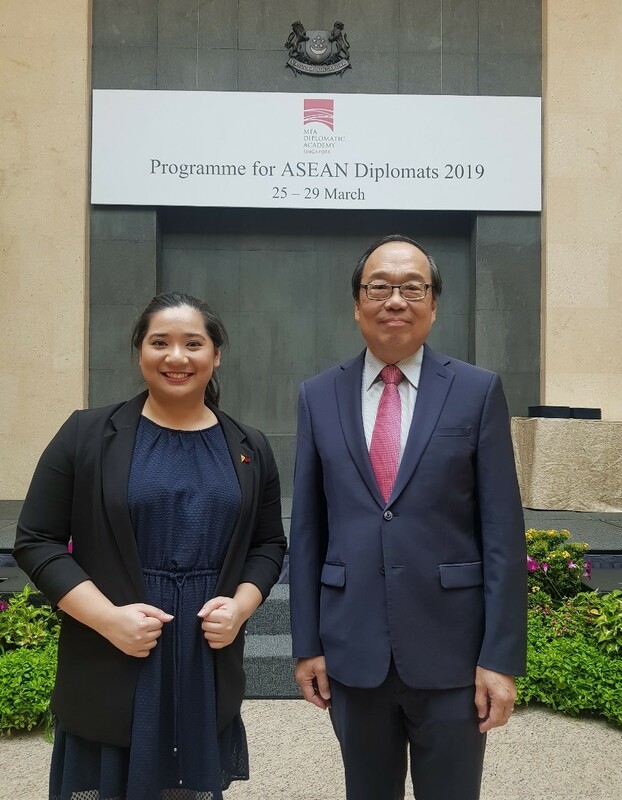 Ms. Maricar S. Yambao, who is currently a Principal Assistant at the Office of Protocol of the Department of Foreign Affairs, was one of the two (2) participants chosen to deliver a valedictory speech during the closing ceremony of the Programme for ASEAN Diplomats (PAD) held last 29 March at the Diplomatic Academy of the Singapore Ministry of Foreign Affairs (MFA). 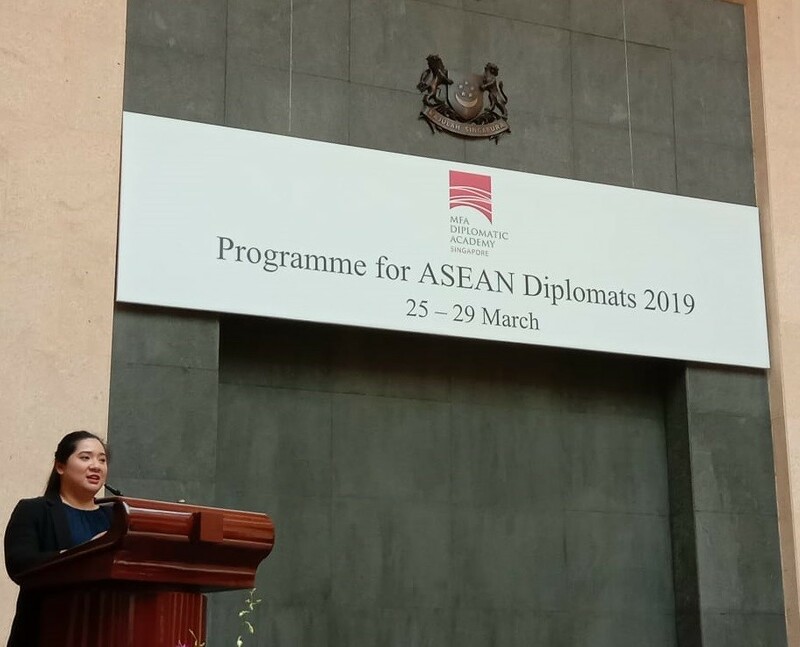 Held on 25-29 March 2019, PAD brings together young diplomats from all ASEAN member states to foster friendship and understanding as they start building their career networks. The programme also aims to contribute in building a robust ASEAN diplomatic community. The MFA of Singapore shoulders all the expenses of the participants. Ambassador Joseph Del Mar Yap attended the closing ceremony on behalf of the Philippine Embassy in Singapore. 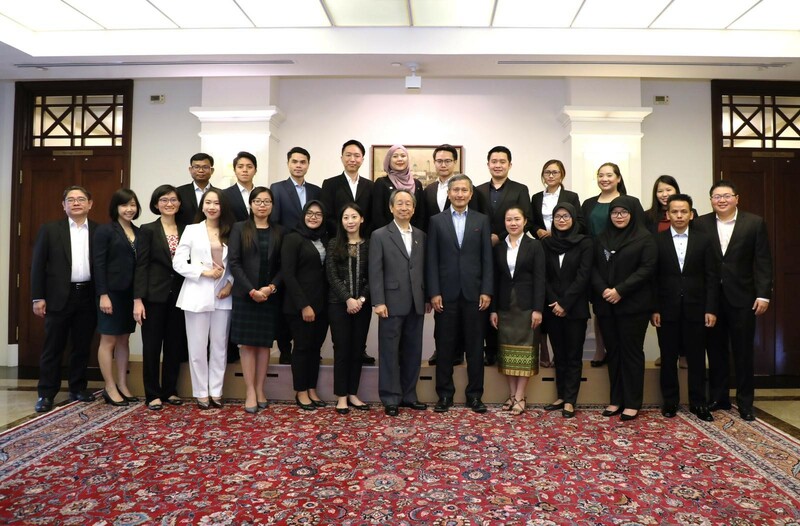 Singapore Minister for Foreign Affairs, Dr. Vivian Balakrishnan, personally met with the participants last 27 March to congratulate them for being part of the PAD. Ms. Yambao is part of FSO Batch XXIV. She is an alumna of the University of the Philippines with BA Political Science and Master of Industrial Relations degrees.